Announced at Apple's Worldwide Developers Conference earlier this month, beta versions of iOS 12 and tvOS 12 were seeded to developers exactly three weeks ago on June 4. Coders also gained access to macOS Mojave and watchOS 5. Both software versions are available to download from the Apple Beta Software Program website. Headlining today's beta series is iOS 12. Unlike previous milestone releases that include redesigned user interfaces and paradigm-shifting functionality, Apple is looking to push its mobile operating system further with a few key feature additions and backend tweaks. In an onstage preview at WWDC 2018, Apple touted iOS 12's compatibility with older hardware, often a bone of contention with upgraders loath to upgrade due to inevitable performance slowdowns. With iOS 12, however, Apple is making a concerted effort to boost performance of both contemporary and legacy iPhone and iPad devices. Indeed, AppleInsider testing showed speed improvements when updating an iPhone X from iOS 11 to the first iOS 12 developer beta. In addition to performance enhancements, first party apps and services are receiving an overhaul, from Siri to Apple Pay and Photos. For example, Siri will gain new processing capabilities and integrations with third-party apps thanks to the new Shortcuts app. Not yet available to beta testers, Shortcuts provides a framework to easily create complex Siri commands that incorporate multiple commands. For example, a Shortcut demonstrated onstage at WWDC triggered a variety of actions, including retrieving location and traffic information, turning on HomeKit appliances, sending a text and opening a streaming radio station, all with the voice command "going home." System-level improvements are also inbound. New tools located in Settings allows users to keep track of app usage, time spent on their device, time their children spend on their devices and more. Designed to develop and maintain healthy usage habits, Screen Time and updated Do Not Disturb functions keep track of usage patterns in granular detail and present the ability to set limitations or restrictions based on time. First-party augmented reality also gets a boost with ARKit 2.0 a protocol that allows for multi-user experiences. Along with the updated framework, Apple is pushing the new USDZ file format for better handling of 3D image data files. Other new features include customizable Memoji characters, group FaceTime calls, the AR-powered Measure app and much more. Though not the recipient of sweeping changes and major feature additions, Apple TV is due for a few changes this fall when tvOS 12 goes live for consumers. Support for Dolby Atmos surround sound is coming to Apple TV 4K models, while Apple is working with cable providers to streamline the login process for third-party media apps. New Aerial Screensaver assets will also arrive alongside tvOS 12, with users now able to browse through the available list of images with a swipe of their Siri remote. As with any beta release, Apple's iOS 12, macOS Mojave and tvOS 12 seeds are nowhere near stable and should therefore not be installed on daily drivers. Installing and running beta software on mission critical machines is not recommended. Users should only test drive new software on a secondary iPhone or Mac, preferably one that does not contain important data. 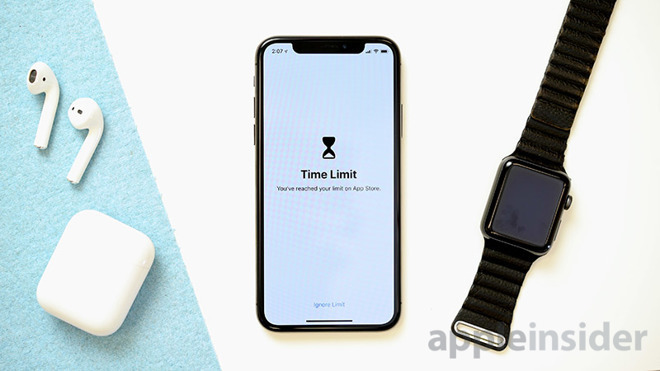 AppleInsider outlined the pitfalls of beta testing when developer versions of Apple's next-gen software went live, noting all risk lies with the user when evaluating these early software versions.